An evening of food, fashion, and fun! The Newark Arts Alliance is pleased to announce the call for entries for our 2nd Annual Imagination Runway fall fundraising event! The highlight of the evening is an entertaining fashion show and competition. Entrants will wow the audience with their inventive designs. 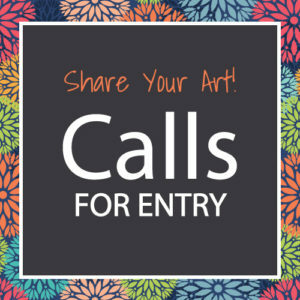 This is your chance to create an original, wearable art piece that shows off your creativity, originality, spirit, class, and style! Entries must be garments such as a coat, dress, pants, jacket, skirt, shirt, etc. Judging criteria include quality, creativity, originality, and spirit of the work. Creative techniques and workmanship, as well as fit and coordination of the outfit, will also be considered. Winners will be determined by a combination of a judging panel and the popular vote of the audience. Enter early—only 20 entries will be accepted! We understand that you may not have fully realized your design at the time of entry—that’s ok! Decide on your basic concept and provide as much of the requested information as possible. We’ll confirm the details at the time of acceptance into the show. Each entrant is responsible for securing a model. You can model your own entry or enlist help from a friend or family member. Check out the Imagination Runway Fashion Competition FAQ for more details and contact information should you have any questions. Entries are open – Deadline is October 5! Entries are now being approved on a rolling basis and will close when entry limit or deadline is reached, whichever occurs first. Don’t miss out – enter today!